Swivel and pull clamping element, double-acting with 90° swivelling angle. 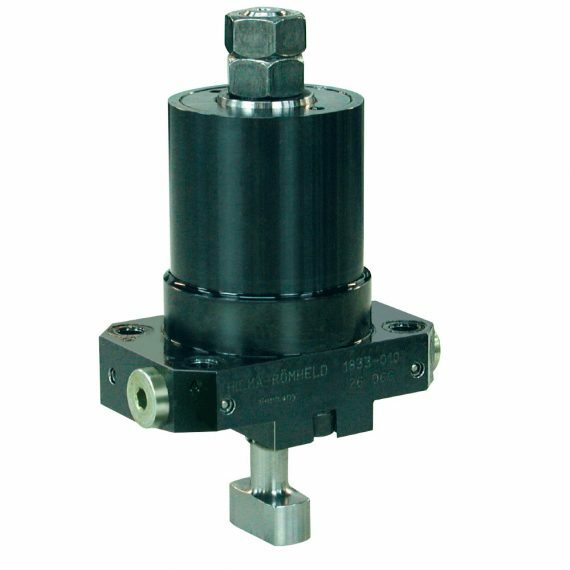 The clamping element consists of a hollow piston cylinder and a swivel cylinder. 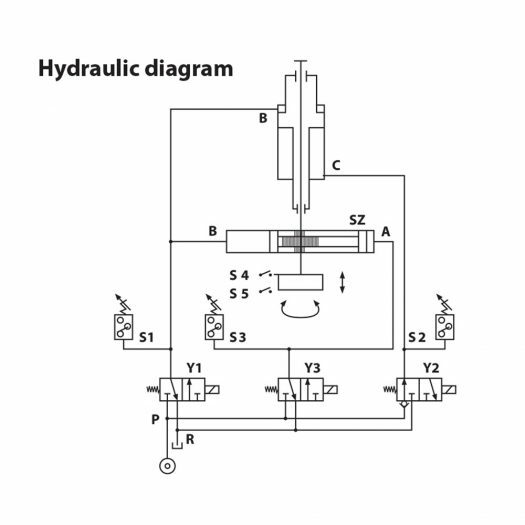 The clamping position is pneumatically monitored. Monitoring by inductive proximity switches is also a possible option.